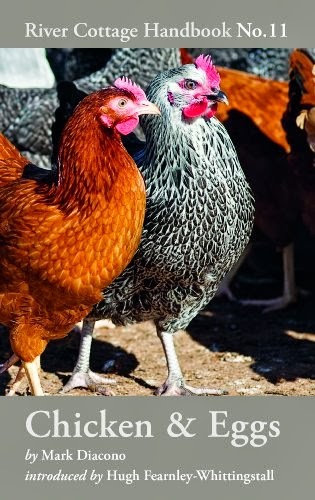 THERE'S a new book celebrating the rise in popularity of chooks in the backyard. From the River Cottage crew, Chicken & Eggs features an introduction by Fearnley-Whittingstall, while author Mark Diacono elaborates in 13 chapters on such topics as understanding chickens, what you will need to start, chickens for eggs versus meat, breeding and health issues. Even though it's a UK publication and it's always wise to check out an Australian guide, this looks like an interesting read.